As seen on Hallmark's Cedar Cove! 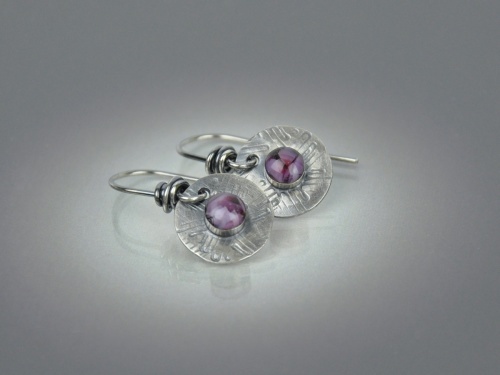 These earrings were worn by Teryl Rothery as Grace on Saturday 8.22.15! Little hand stamped wheels of sterling are topped with a bezel and filled with lipstick colored glass. More colors available, see multiple views for options. All of my earrings are created with a hand wrapped ear wire, and have a hand applied patina finish.